Interact naturally with anyone, on any screen, over any type of content-even HD video! You can get the FREE Plan for basic meetings, or GO PRO for Instant WOW factor. Meet face-to-face with your team – even if they're half a world away. Collaborate and share in a whole new way. Host unlimited webinars or trainings. Meet anywhere, with anyone, and get more done. Set up a meeting or webinar in minutes – without IT support. Generate more qualified marketing leads – for less. Present to hundreds of people from your PC. 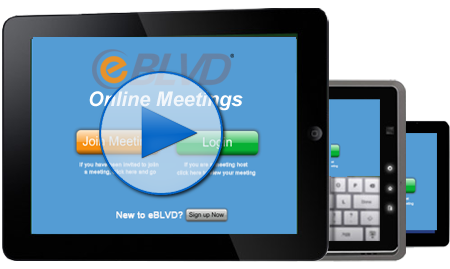 Web conferencing and online learning the way it should be. Meet, Train, and Present from anywhere to everywhere.